In a never before seen adventure into the stories of the unknown, History At PlayTM embodies the spirit of international women who risked their lives to defeat Fascism in World War II. World War Women is a suspenseful reliving of the terrors and triumphs of some of our greatest heroines. From organizing the resistance, to rescuing downed RAF pilots, testing new aircraft, and flying dangerous missions, these stories are not for the faint of heart and may very well be the most influential and often forgotten victories of the war. This event will be held in the handicapped-accessible Thornton Wilder Hall, Miller Cultural Complex, 2901 Dixwell Avenue, Hamden. Admission is $7 general admission/ $5 for senior citizens, students and children 12 and under. Sunday Series: Gatsby in Connecticut - Fitzgerald Lore, Live Music of the 1920's and More! 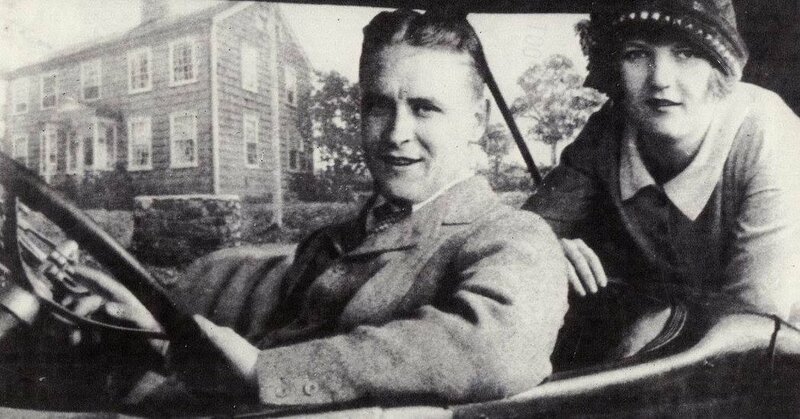 The Great Gatsby has long been synonymous with Long Island, but what if Fitzgerald’s true inspiration came from here in Connecticut? Historian and author Richard “Deej” Webb examines the possibility in his book Boats Against the Current: The Honeymoon Summer of Scott and Zelda: Westport, Connecticut 1920. A companion documentary titled “Gatsby in Connecticut: The Untold Story”, directed by Robert Steven Williams is slated to be released this fall. We are pleased to welcome Deej Webb and Robert Williams as they discuss their book and documentary. A reception and book signing will follow the talk. 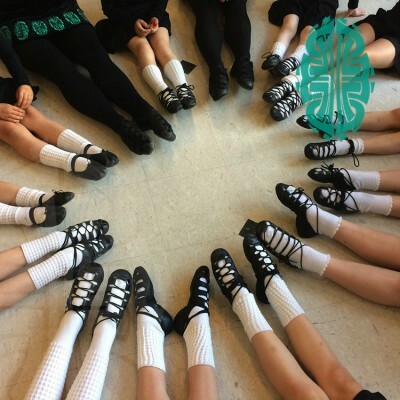 Come ready for an awesome show that incorporates traditional Irish dance techniques taught by Riverdance dancers and then stay to learn what it takes to be a professional Irish step dancer in large scale performances. Dancers from the Brennan-Lucey Academy have performed with the New Haven Symphony, danced on WTNH, competed on both local and world stages and have performed for many charity events and Irish festivals throughout the area. The concept for the Brennan-Lucey Academy began when Stephen and Meghan met while on tour with Riverdance in 2007. After thousands of performances, countless television appearances and years of dancing and teaching side by side, Stephen and Meghan are still both the best of friends and are now both registered TCRG's (teachers) with An Coimisiun le Rinci Gaelacha, the worldwide Irish dancing governing body based in Dublin, Ireland. Tickets to this event are $2 Children, $3 Adult. Tickets available at the door only, cash only. Doors open at 12:30pm. Sunday Series: Raymond Suntino - "That's Amore: An Afternoon of Romantic Italian and American Songs"
Join us as local crooner and favorite, Raymond Suntino, returns to the Thornton Wilder Hall Stage to sing his heart out to his Hamden fans. Raymond will bring with him a whole line up of the best Italian and American love songs just in time for Valentine’s Day. The concert will be held in the handicapped-accessible Thornton Wilder Hall, Miller Cultural Complex, 2901 Dixwell Avenue, Hamden. Admission is $7 general admission/ $5 for senior citizens, students and children 12 and under. 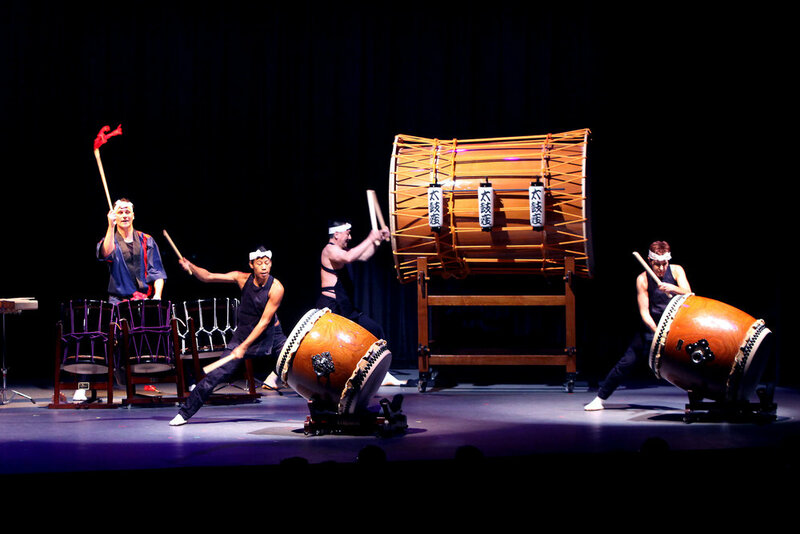 February 9th at 1pm in Thornton Wilder Hall brings the highly visual musical art form of the Japanese dance and drum ensemble, Taikoza. Clad in colorful costumes, this group will introduce audience members to music and dance inspired by traditional Japanese festivals. Kids and families will experience the enchanting sounds of bamboo flutes, the plucky notes of the Koto harp, the room filling boom of the big-barrel taiko drums and more! 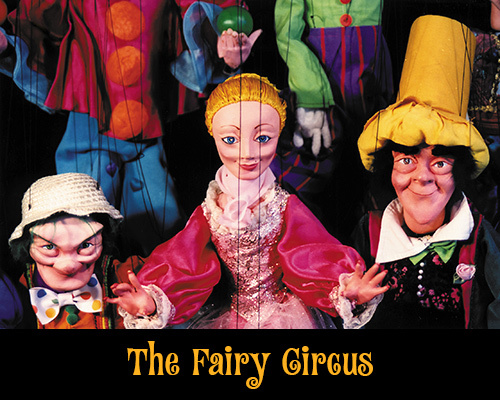 On January 19th we welcome back family favorite, Tanglewood Marionettes with their performance of “The Fairy Circus”. This is a magical marionette show featuring over 20 hand-crafted marionette puppets that dance, sing, play instruments and more to the music of some of the best-loved composers. Tickets are $2 Children, $3 Adults, available at the door only, cash only. Thornton Wilder Hall is handicap accessible. Tickets: $5 Senior/Student, $7 General - Available at the door only, cash only. Doors open at 1:30pm. The Hamden Arts Commission is pleased to announce the return of St. Luke's Steel Drum Band to the Hamden stage on November 18th at 2pm., as part of the Peter C. Hereld Sensational Sunday Performance Series. The high-energy, award-winning group, with members of all ages, is hailed as one of the most unique and exciting performing ensembles in the state. Their repertoire includes calypso, reggae, classical, popular, and island folk music. A Hamden favorite, Bubblemania! returns to Thornton Wilder Hall this winter. Bubble master and comic, Casey Carle, has been making bubbles of all shapes and sizes since the late 80’s. He has perfected the slippery art of making the perfect bubble recipe and uses it to entertain people of all ages. With a background working for Cirque Du Soleil, Casey can make bubbles perform on cue and even knows how to put an entire person into a bubble! A crowd favorite. The concert will be held in the handicapped-accessible Thornton Wilder Hall, Miller Cultural Complex, 2901 Dixwell Avenue, Hamden. The Survivors Swing Band generates energy and excitement everywhere they perform. We are a 7-piece professional jazz band, based in Connecticut, that plays the classic melodies from an era gone by--hot tunes and soothing ballads of the Swing Era--plus many of the wonderful melodies from the two decades that followed. The "Big Bands" played this music with a high degree of rigid orchestration. The Survivors render it with a greater tilt towards improvisation, thus giving each pass at a tune somewhat of a new flavor while still keeping true to the original melodies. Your memories of the "good old good ones" that we play will be readily revived! With trumpet, saxes, piano, guitar, bass, and drums, let us entertain you! Karim illustrates what it means to be bi-cultural in the US. 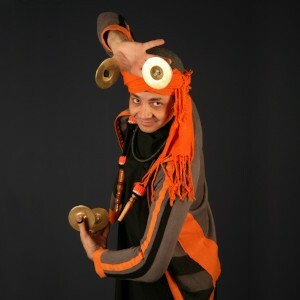 Music, Dance, Arabic Language are featured as Karim plays Arabic, Turkish and Andalusian hand percussion, including the Egyptian Tabla (goblet drum), Riqq (tambourine), Duff (frame drum), and Segat (brass castanets). Students will have their first-lesson in the Arabic language as well as learn a three sound clapping system which allows anyone in the crowd to perform the Arabic rhythms without an instrument and a brief demonstration of Dabka Line Dancing. Join Brooksvale Park as they host the 19th annual Fall Festival on Sept. 29th from 11am-4pm at Brooksvale Park - 542 Brooksvale Ave. Hamden, 06518. (rain date: 9/30). There will be live music, craft and food vendors, live demos by community organizations and more. Free Admission, Free Parking. Bring cash for food and craft vendors. No ATM on site. For more info call Ranger Vinny at 203-287-2669. Bruce Springsteen cover band, Tramps Like Us, returns to the Town Center Park stage this September 28th at 7:30 to play a FREE concert. Join us for our first ever Art Chat: Gallery Show and Artist Talk featuring Hamden photographer, Chelsea Silbereis. The Art Chat series is a mini gallery show held here in the Thornton Wilder Lobby and is an opportunity to honor and highlight Hamden artists as well as a chance to invite community members to see their work, learn more about the artist's style, means of production and/or make valuable networking connections. This event is free and open to the public. We ask that you rsvp using this invite so we have an idea of how many people to expect. This event is hosted by the Hamden Department of Arts and Culture - 203-287-2546 - 2901 Dixwell Ave. Hamden 06518. Light refreshments will be served. Chelsea Silbereis is a photographer living in Hamden Connecticut. She seeks to explore and document family life as an attempt to define and understand the truth in family dynamics and the experience of being a child. Her work is built around her own struggle to belong and feel comfortable as a member of a family. Her family of origin was often overwhelmingly emotional, an experience that left her feeling disconnected. By photographing her own family, she gives herself the distance to see her family, and the connections within more clearly, appreciate it more thoroughly, and understand it better so that she can more easily fill the role of mother. She lives with her husband two children, a dog and a cat. She likes to imagine the ghosts of pets past are also members of the household. The Hamden Volunteer Firefighters Fireworks Committee is pleased to announce that the 25th Annual Independence Day Celebration Fireworks display, in conjunction with the Town of Hamden and The Hamden Arts Commission (that's us!) will take place on Friday June 29th, 2018, with a rain date of June 30th, 2018 at the Town Center Park in Hamden, CT. The Hamden Symphony Orchestra will return to perform during the evening. Tri-State DJ Co.'s DJBry will again be providing music before and after the band performs as well as during the Fireworks. We would like this 25th anniversary celebration to be a special one for the people of Hamden. Due to the multiple rain outs last during last year's summer season, The Hamden Volunteer Firefighters Fireworks Committee is in need of donations for this event to be a success. Checks should be made payable to HVFF and mailed to P.O. Box 5104 Hamden, CT 06518 or donations can be made using PayPal. For more information about the event and fundraising activities please visit thier website www.hamdenfireworks.org , contact Karl Olson at (203) 214-9489 or e-mail them at hamdenfireworks@gmail.com.